Werner's Cairns blog: Why you shouldn’t hate broccoli. We love broccoli cooked or raw mixed in salads with French salad dressing, it’s delicious and as you will see, very healthy. Here is Mr. 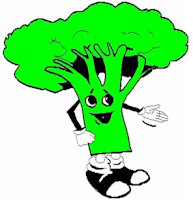 Broccoli himself to tell you why broccoli should be part of your diet. How broccoli each day keeps the cancer away. 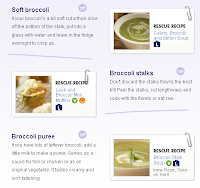 A SERVING of broccoli every day can reduce the risk of colon cancer by almost 50 per cent. For years, doctors have recommended a high-fibre diet as part of a healthy lifestyle. Now scientists say some vegetables are more beneficial than other sources of fibre. In particular, vegetables such as broccoli, cauliflower, lettuce and sprouts are good at preventing bowel cancer. One portion a day can lessen the chance of developing the disease by 46 per cent, according to the results of a six-year study by scientists at the University of Liverpool in northern England. The vegetables, called non legumes, contain fibre rich in galactose, a sugar which prevents cancer-causing proteins known as lectins from attaching themselves to the lining of the colon. The findings, published in the scientific journal Gastroenterology, could help save thousands of lives. John Rhodes, who led the study, said stories about the benefits of a high-fibre diet that had been circulating for years have "typically oversimplified the situation". "So it is not surprising there has been confusion and contradictory reports," he said. "People who avoid overeating, eat a good quantity of leafy green vegetables and take regular exercise can reduce the risk of heart disease and diabetes." SCIENTISTS are close to linking diet with asthma problems. Research projects around the world are shedding light on which foods can make asthma worse - and better. The latest report released last week in Britain indicates that a lack of fruit and vegetables can leave people more vulnerable to asthma. Anthony Seaton, of Aberdeen University in Scotland, said rising asthma rates around the world could be linked to a corresponding drop in the consumption of fresh fruit and vegetables. There is also growing evidence fish is beneficial for people with asthma. In Brisbane, Princess Alexandra Hospital chest specialist and National Asthma Council member Charles Mitchell said omega-3 fatty acids found in fish were the key. He said studies had shown that children with a high fatty fish diet had lower rates of asthma. Who cares if George Bush Senior. hated it? The fact is, broccoli is one mean green. It boasts a fistful of phytochemicals, including sulforaphane and indole-3-carbinol, that may detoxify cancer-causing substances before they have a chance to cause harm. In women, indole-3carbinol may turn the estrogen associated with breast cancer into a more benign form. A number of studies have linked regular consumption of cruciferous vegetables like broccoli to a reduced risk of breast, colon and stomach cancers. Broccoli is a rich source of beta-carotene, fiber and vitamin C (1 cup contains more C than an orange). The best way to unleash the nutrients is by cooking light and chewing hard. But if you simply can't stand broccoli, try your luck with Brussels sprouts, cabbage and bok choy. MEAN GREEN: Full of fiber, phytochemicals, beta-carotene and more vitamin C than an orange. make you feel full fast. That should keep you away from more fattening foods and help control your weight. FEELING YOUR OATS: Eating them lowers cholesterol levels and fills you up. Education is what is left after you have forgotten all that you have been taught. Posted by Werner Schmidlin at 3:25 PM Labels: broccoli.